© 2012 Jordan Young. All rights reserved. 17 Aug Post by Jordan Young Filed under Most Popular Hairstyles in History. Tagged bouffant, classic, Jackie O., Kristen Stewart, Miranda Kerr. 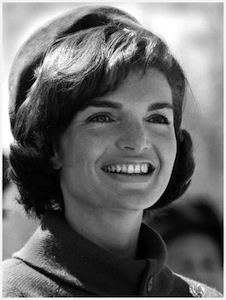 Jacqueline Kennedy became the First Lady of the United States when her husband John F. Kennedy was elected President in 1961. While he was in office she served the country as a fashion icon and symbol of grace, which earned her the admiration of women everywhere. She actually spent more on her designer wardrobe as First Lady—mostly custom pieces from Kennedy friend Oleg Cassini—than the President’s salary. Then known simply as Jackie Kennedy, her style was often imitated and her hair was part of her classic beauty that everyone wanted to recreate. She first fell into the hands of her hairstylist Kenneth Battelle in 1954, and four years later he created her iconic bouffant that became extremely popular among American women. Jackie stayed close with Kenneth and he styled the entire family’s hair for her husband’s inauguration. 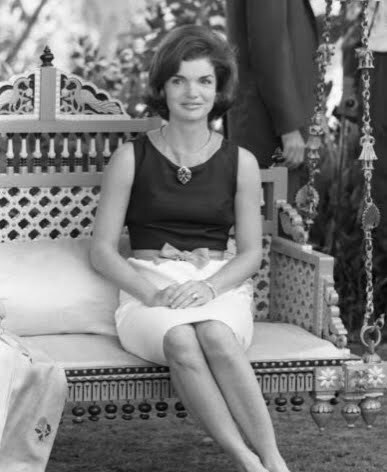 In 1968, she married Aristotle Onassis a Greek shipping mogul and became affectionately known as “Jackie O.” By marrying Onassis, Jackie lost her protection with the Secret Service and began to be followed more closely by the paparazzi. But because of this we now have some of the most well known photographs of her, such as those of her walking around New York in her sunglasses, and perhaps the most popular one of her with windblown hair. Actress Katie Holmes portrayed Jackie in a recreation of this photo on the cover of New York magazine in 2010. 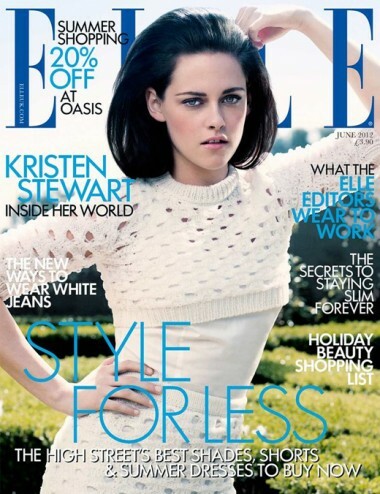 Her image has been conjured this year with supermodel Miranda Kerr styled as Jackie for a photo spread inside the U.K.’s April issue of Harper’s Bazaar, and Kristen Stewart on the cover of June’s Elle in the U.K. with a Jackie-like bouffant. Jackie O, while holding a place in the fashion world for her clean, put-together, and classic fashion, is also remembered for her contributions to the arts and her strength and poise under extraordinary circumstances.